I hope everyone is enjoying (or surviving) the summer heat! 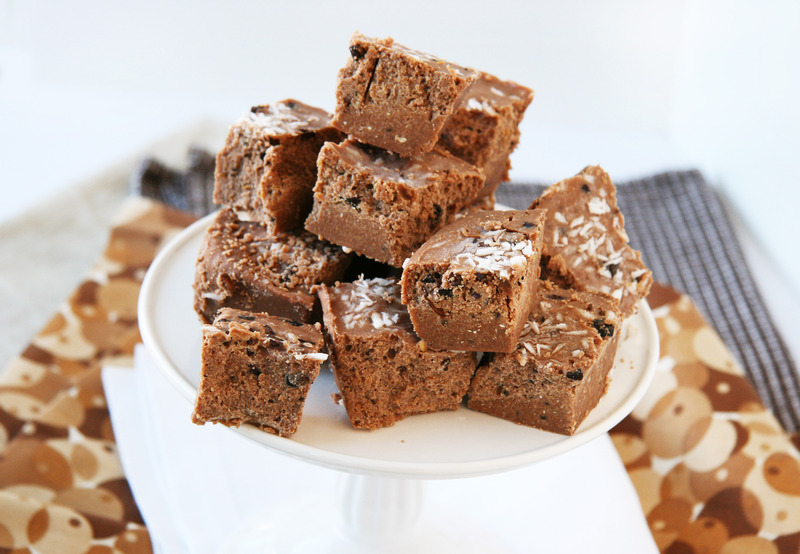 No bake, quick and oh-so-delicious — these dense little blocks satisfy not only my craving for chocolate but any decadent dessert or after-meal treat. They can also stand in as a speedy afternoon pick-me-up when you need a little burst of energy and/or to quench a midday sweet tooth. Did I mention they are chock-full of healthy fats, fiber, protein and antioxidants (you gotta give it up for raw cacao!). 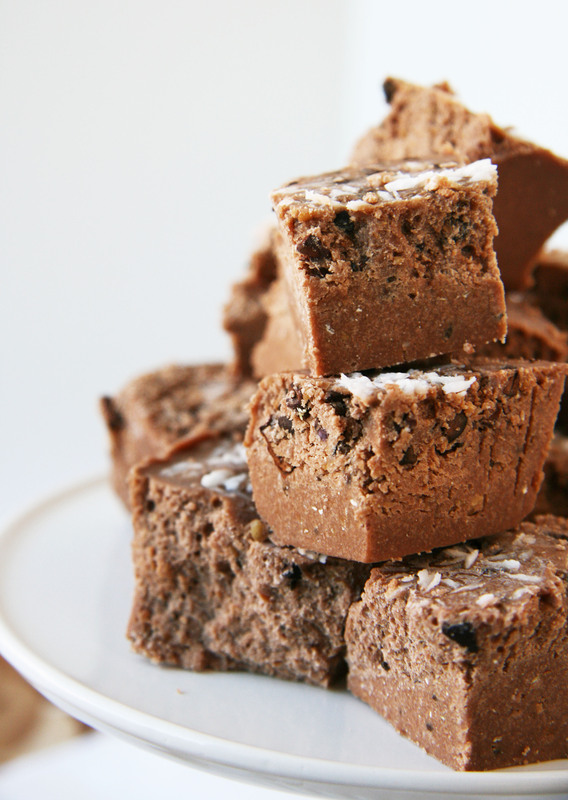 The base of these fudgy bites are homemade coconut butter (though a store bought version works here too) and your favorite nut or seed butter. Tailor these filling squares to your liking with various extracts, nut/seed butters and add-ins. The addition of dried fruit would be delicious – cherries, raisins, apricots, cranberries, goji berries, banana or dates would be delicious! 1. Line a large loaf pan with parchment paper and set aside (Can use small or large pan for different thickness). 2. In a food processor, add coconut and process for about 10 minutes or until the coconut turns into a butter. See my post here on to make homemade coconut butter. 4. Add in flaxseed meal, chia seeds and protein powder (if using) and process for 30 seconds. Stir in add-ins at this time, if using. 5. Pour into prepared pan and refrigerate until hardened, about 30 minutes. Cut into squares/blocks and enjoy! oooh these sound heavenly! yuM!! Yay, no bake! No way I’m turning on the oven here either, haha. These bites look great! 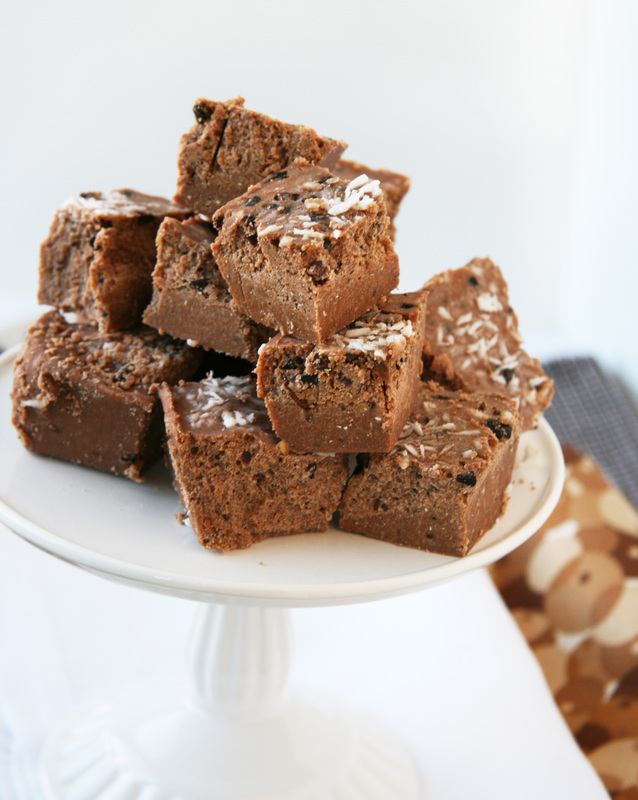 Gotta love homemade good for you fudgy bites – love having you back Nora! OMG. I made these last night because my bf and I wanted something sweet after dinner, these were incredible. I think we both melted on the kitchen floor in delight. 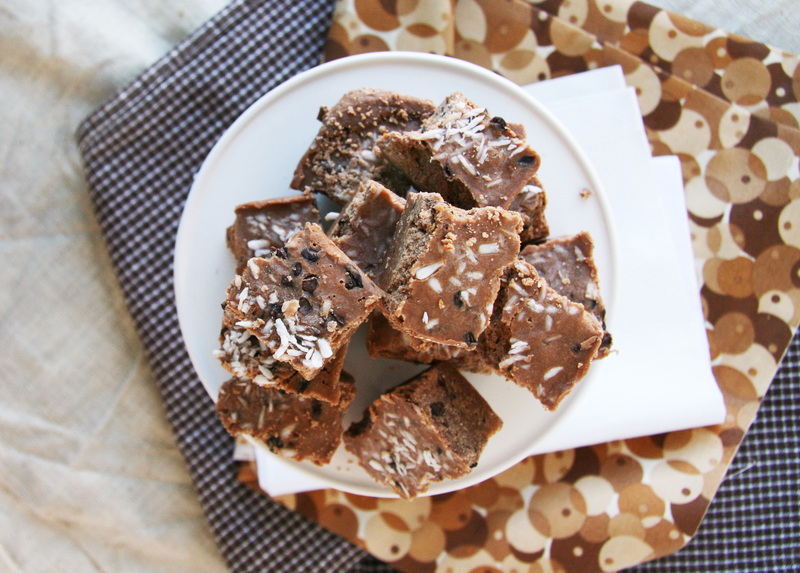 I will definitely be making these again (though perhaps not using my hand held processor…standing there for 10 minutes making coconut butter was not that fun!). Well done! It’s remarkable to pay a visit this web page and reading the views of all friends regarding this article, while I am also zealous of getting knowledge. A tja vilken nobel blogg du inneha!